Delta is now getting in on the convenience of voice activation with their new "Voice Faucet" that takes directions from Amazon's Echo. 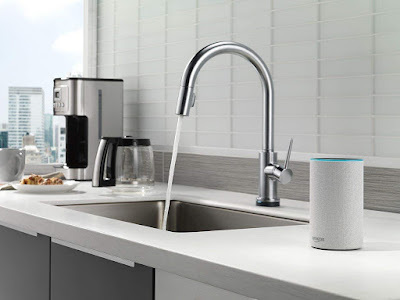 Not only will it simply turn the water on via commands to Alexa, but it is also capable of filling cups and coffee pots with specific and custom amounts. And the "Tempsense" feature means there's an LED light that changes color to indicate temperature. 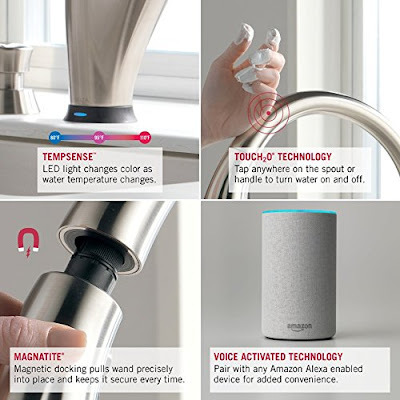 It's available on Amazon for around $500. What do you think - too much or totally great? It seems to have a lot of fans. 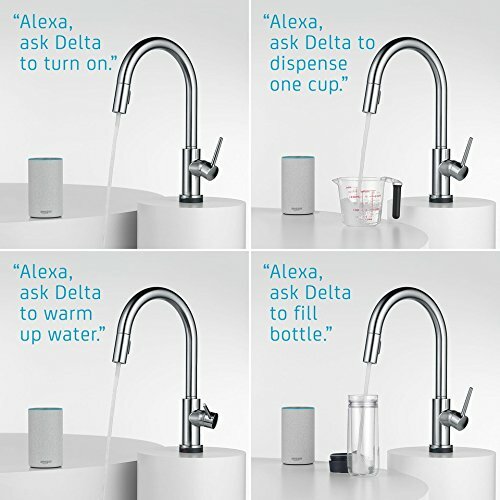 Apparently Delta has much more on the horizon!